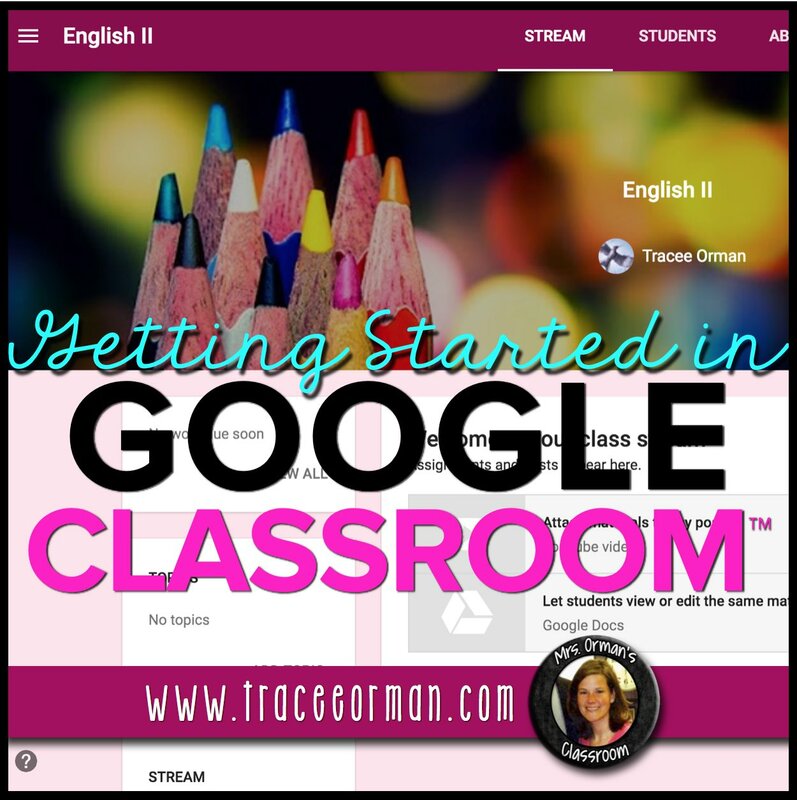 This is the fourth blog post in my Google Classroom™ tutorial series. I sincerely hope my step-by-step directions and examples have helped you set up your own classes and assignments to use with your students. 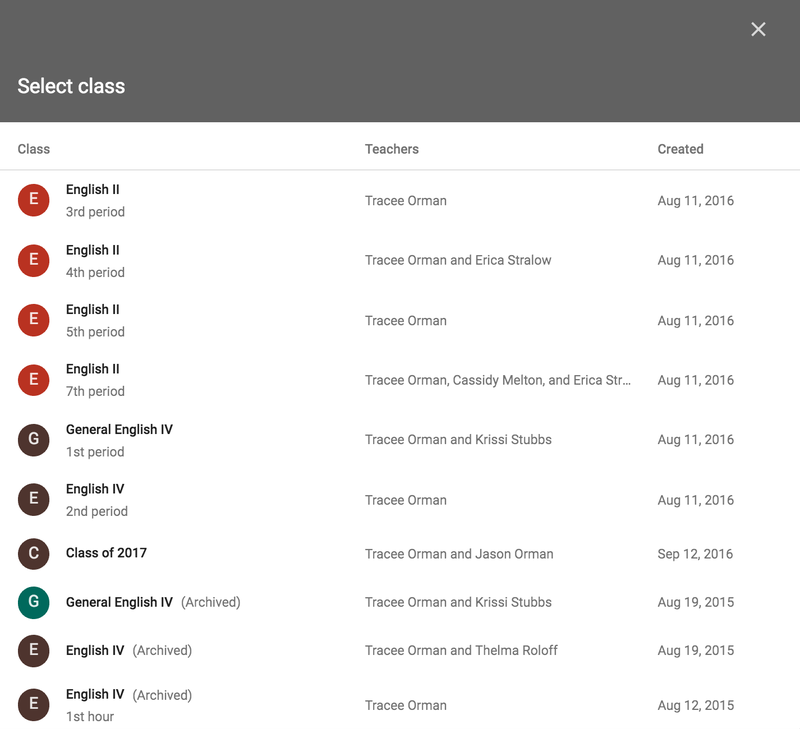 Google Classroom™ is an excellent way to share digital content and interact with students in a safe and secure way. 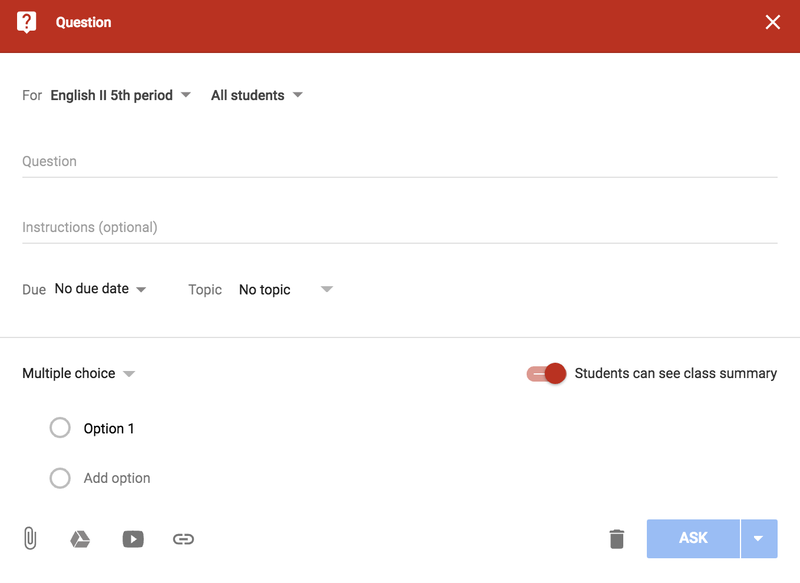 If your school has not created a FREE G Suite for Education account yet, encourage your administration to do so. 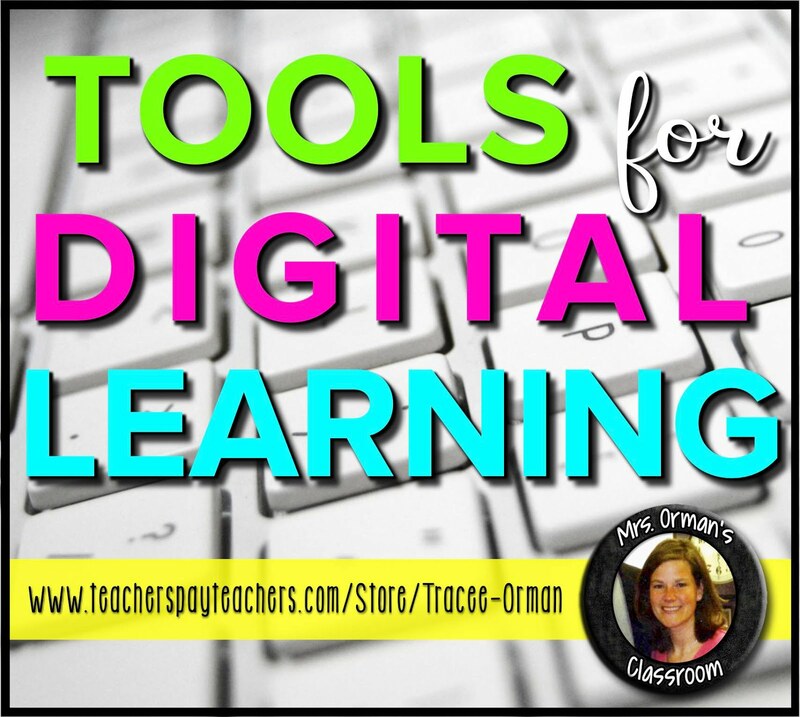 It is well worth it no matter if you are using Chrome Books, iPads, laptops, desktop PCs, or students are bringing their own devices. 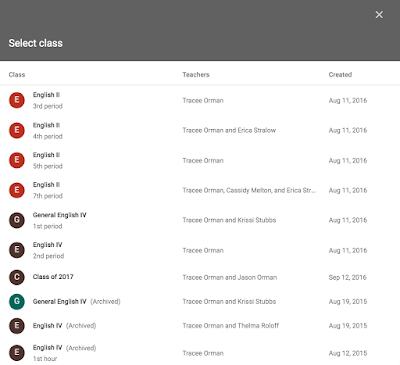 Google Classroom™ is available on both Android® and Apple®/iPhone™ platforms. 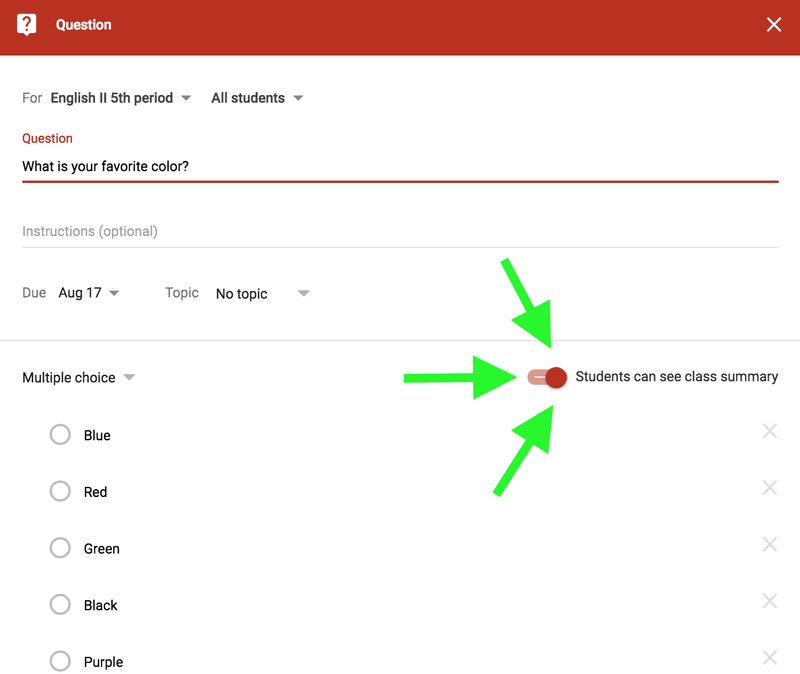 Today I'm going to show you how to use the "Create question" and "Reuse post" options when you click (or hover over) the plus (+) sign in your class stream. 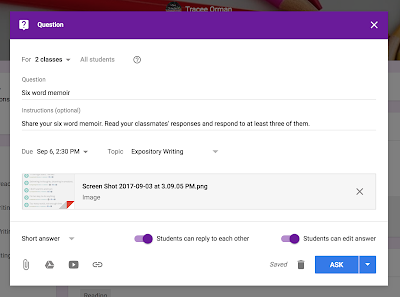 The "question" feature in Google Classroom™ is a nice option when you want to survey or poll your students, start an online discussion, and/or check for understanding and comprehension. 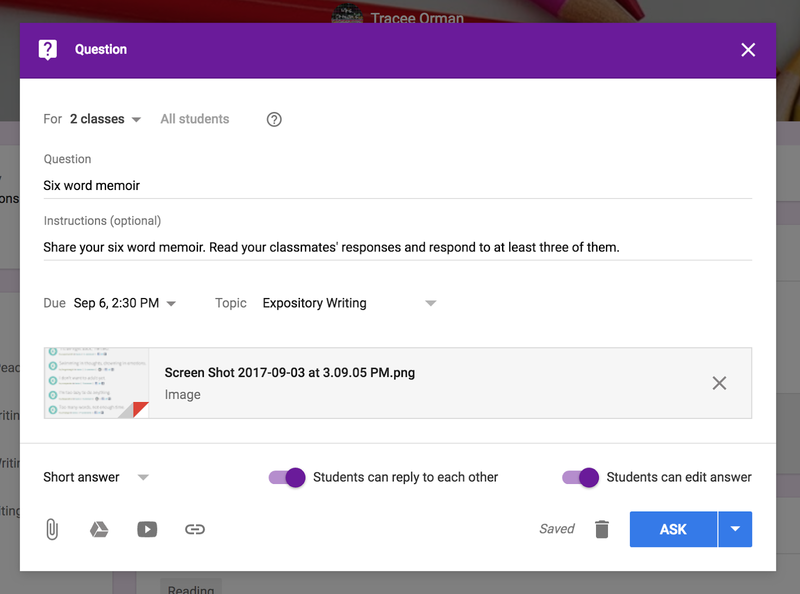 It is a perfect tool to use for a bell ringer or exit slip (quick 5-minute assessments to refresh, review, quiz, and/or survey your students). 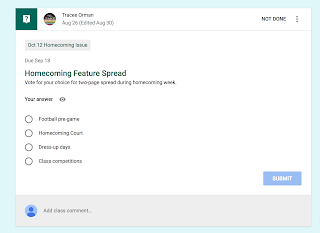 The only drawback is you can only ask one question, so if you have additional questions you want to ask, use a form in Google Forms™ instead. 1. Do you want to post the question in multiple classes? 2. Do you want to post the question to certain students or the entire class (if you are sharing with multiple classes, you must post to ALL students)? 4. Do you want to tag this question with a topic? *If a student is absent, you can assign this question to that student only when he/she returns. You'll want to follow the "Reuse post" direction below to do that. TIP: If you need a refresher for decisions 1-4, see my previous posts. 5. Is your question a short answer or multiple choice question? 6. (For short answer questions only) Do you want students to respond to their classmate's answers or not? 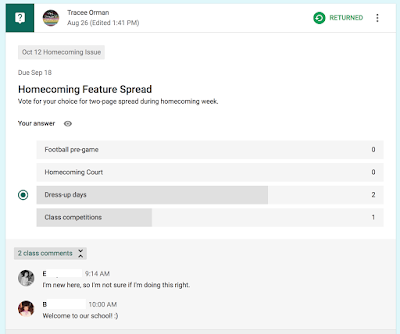 This is good if you want students to be able to share their thoughts for an online discussion-type question. However, if you are assessing them on what they know or remember, you will NOT want them to see other students' responses. Short-answer options when posting a question in Google Classroom™. 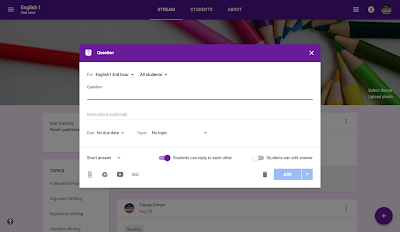 Example of a short-answer question in Google Classroom™. 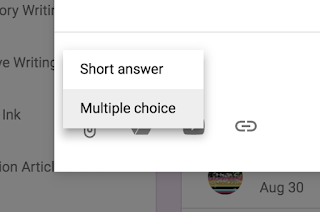 Multiple choice options when posting a question in Google Classroom™. When you choose multiple choice (above), you will be given numbered answer options. You will also be asked if you want your students to be able to see a summary of their classmates' responses. Decide whether or not you want students to see a summary of their classmates' responses. Again, if you are assessing them, it's probably wise to turn that off. But if you would like for them to see the results (as a discussion starter or to see poll results), make sure to allow this. It will show them right in the post how other students have responded. Students will see this when a multiple-choice question is asked. 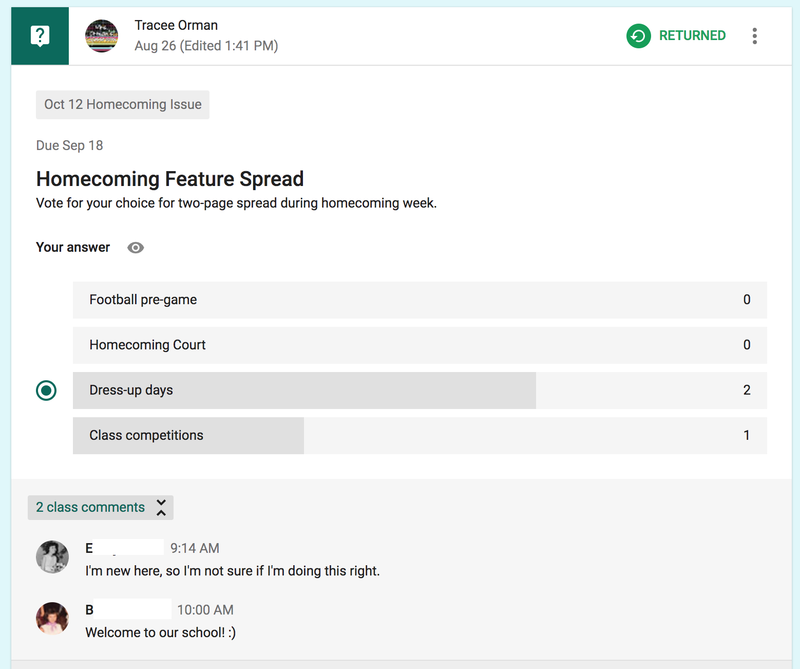 Students can see how their classmates answered and comment on the post. The teacher will see a summary of the students' responses in the left column. 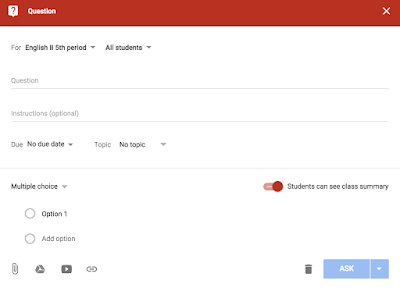 Clicking on each student will show individual results. TIP: If you wish to ask more than one question, use Google Forms™ rather than the "Create question" feature. In Google Forms™, you can ask multiple questions and even vary the question types (i.e. have a few short answer, a few multiple choice, and offer checkbox-style questions for multiple answers). 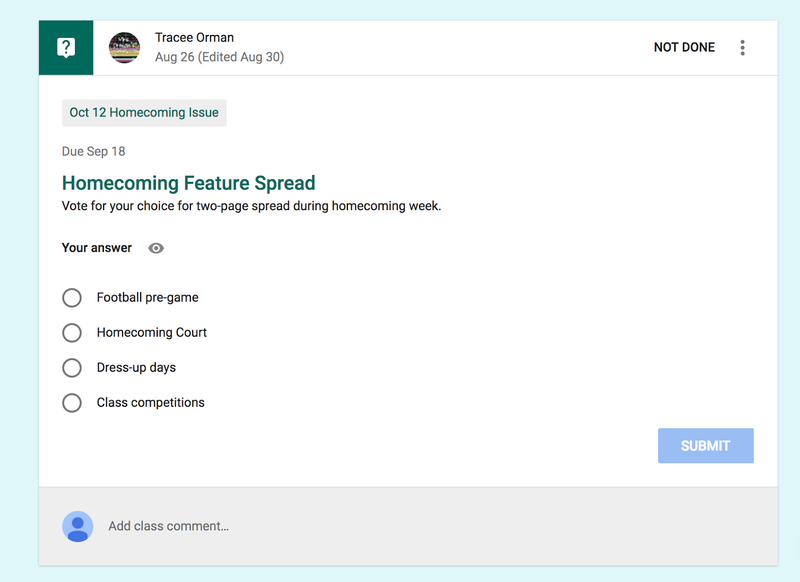 Leave me a comment below if you'd like to see a tutorial on making a form to use in Classroom™. Reusing a post means exactly what it says: you can choose to copy a previous post rather than retype it all over again. This comes in handy when you forget to share an assignment, announcement, or question with multiple classes. It's also handy for copying posts from year-to-year. 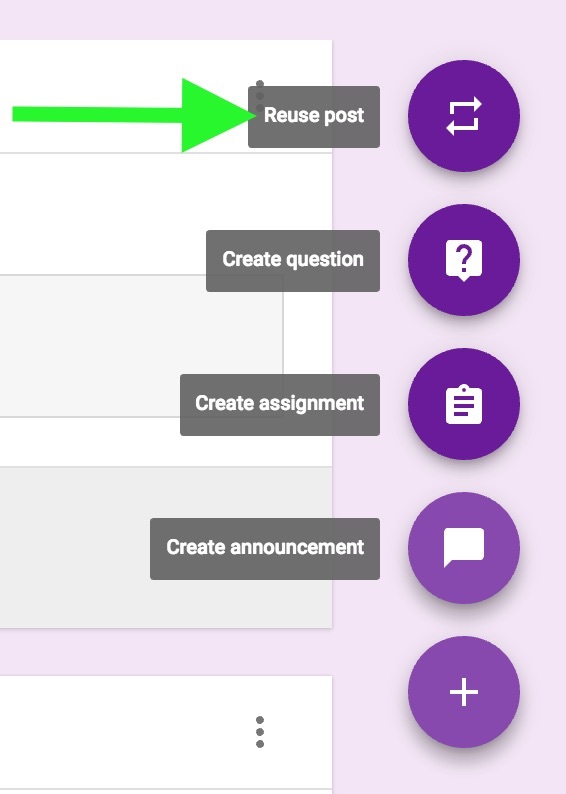 Since you will want to create a new class each year, you can just use "Reuse post" to copy those same assignments you gave in previous years. A pop-up window will appear that asks you which post from the current class you'd like to reuse. 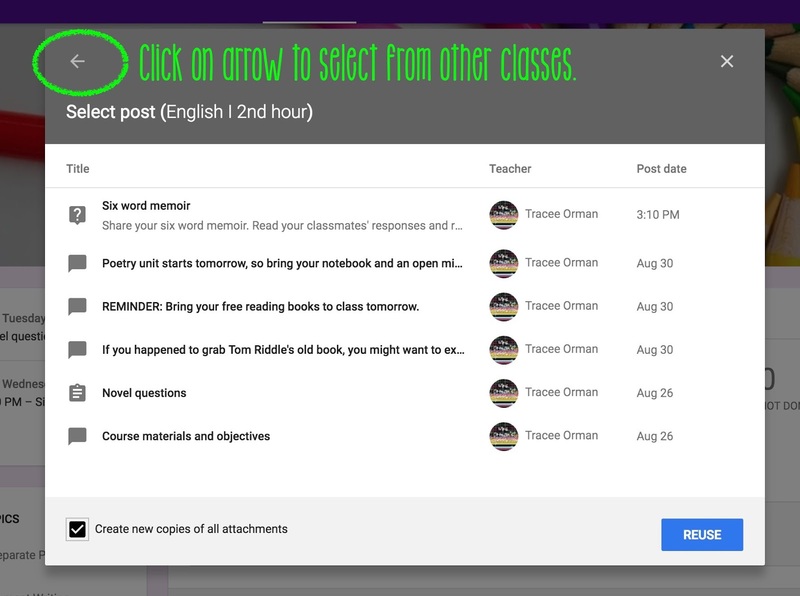 You can select a post OR click on the arrow in the top left corner to select a different current or archived class. Once you select a class to choose from, you go back to a screen that shows all the posts from that class. 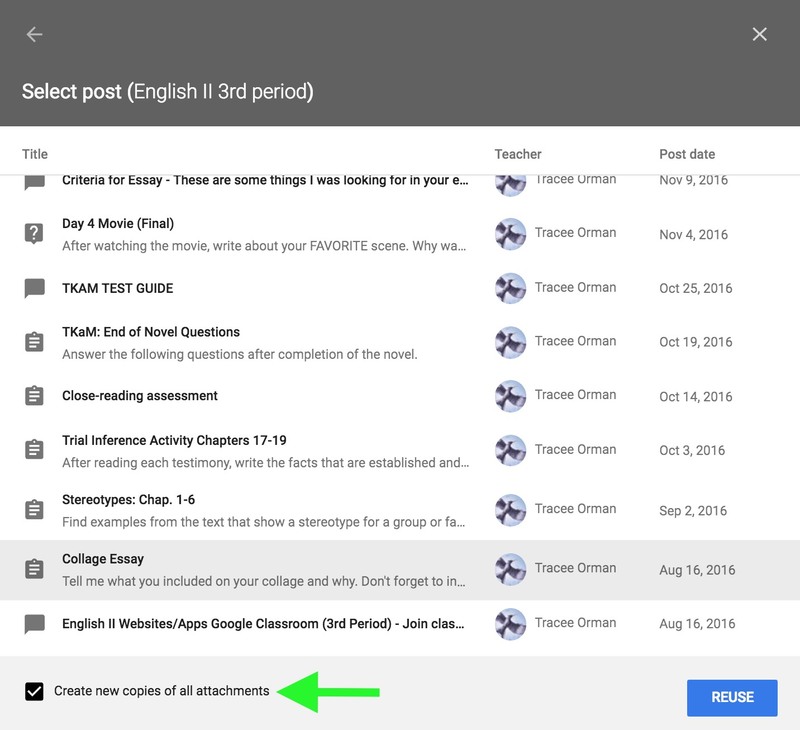 If the post has an attachment, make sure to check the box in the lower left corner that says "Create new copies of all attachments." 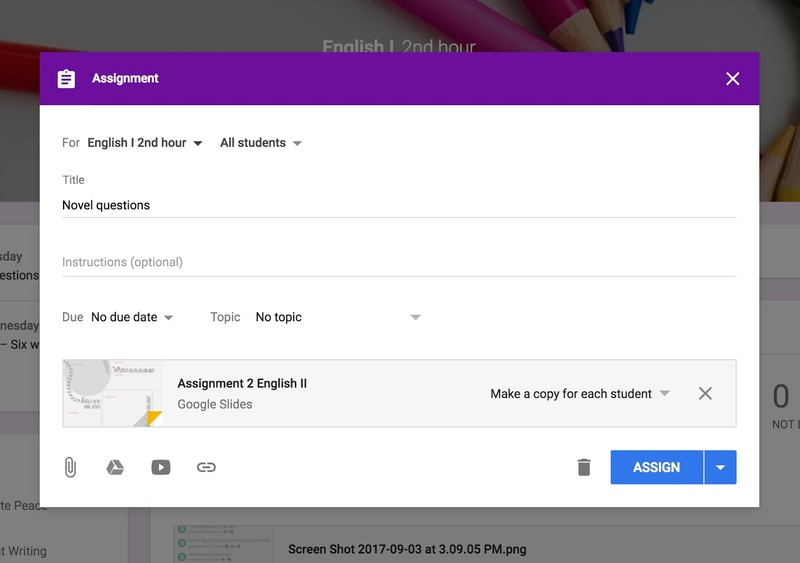 If you don't click that box, none of the attachments will be saved in your class folder in Google Drive™, nor will your students have their own copies of the attachments. You'll need to make the same decisions as you do with any normal posting. 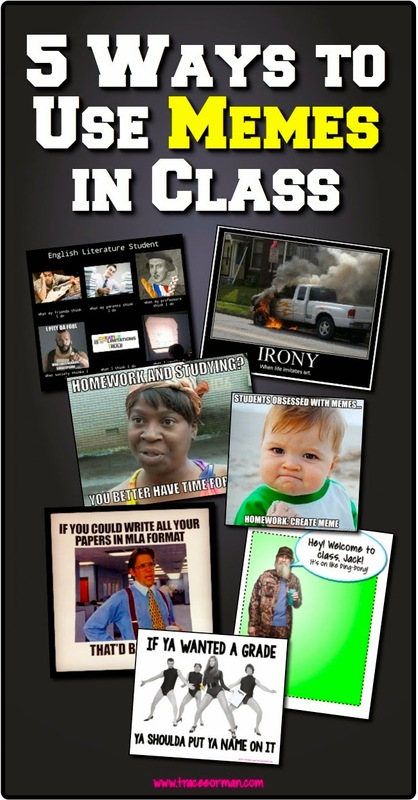 It will then appear as any other post in your class stream. Thank you for visiting. 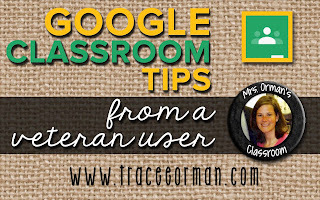 I hope my tips have been helpful for you and your students. 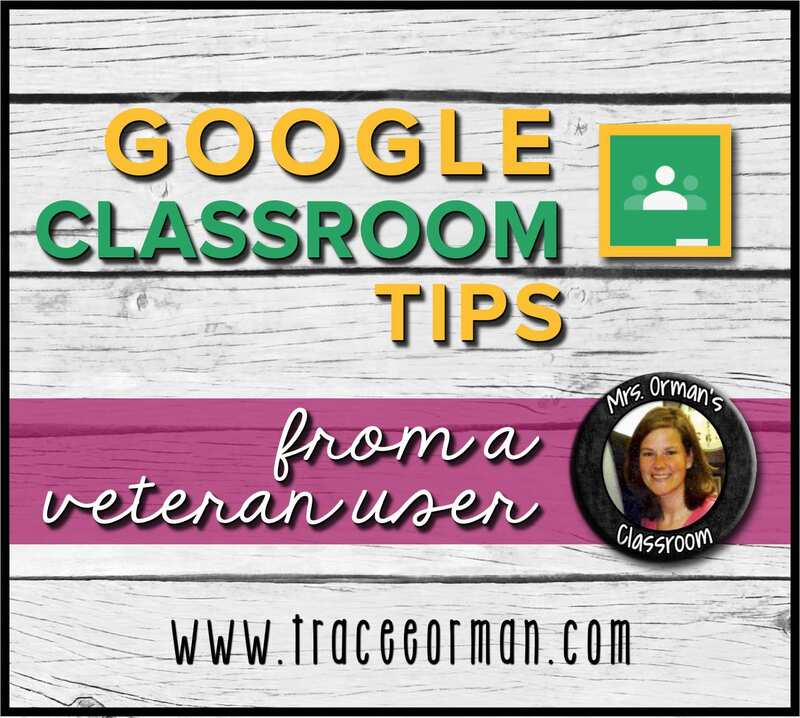 My next post will walk you through the "Calendar" and "To-Do" features in Google Classroom™. If you have additional topics you'd like to see me cover, please comment below. Tips for secondary teachers on how you should set up your classes (pros and cons of having one Classroom per subject or one Classroom per class period). 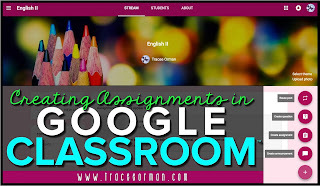 Includes tips and tutorials for creating new classes; customizing the look of your classes; adding new materials/online text; adding students; and adding co-teachers, teacher aides, or access for special education teachers. 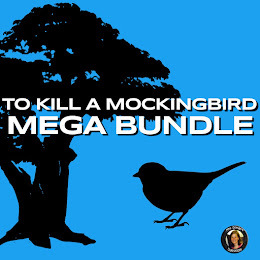 Includes tips and tutorials for creating assignments, announcements, and topics. 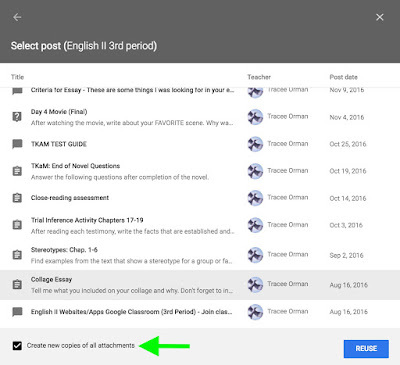 Also has tips on how to save and delay posting and collecting work for students. Includes tips and tutorials for creating questions, the types of questions available (multiple choice & short answer), allowing students to interact and respond to one another, and how to easily reuse posts from class to class and year to year. Google Classroom™ is a trademark of Google Inc. Use of this trademark is subject to Google Brand Permissions.